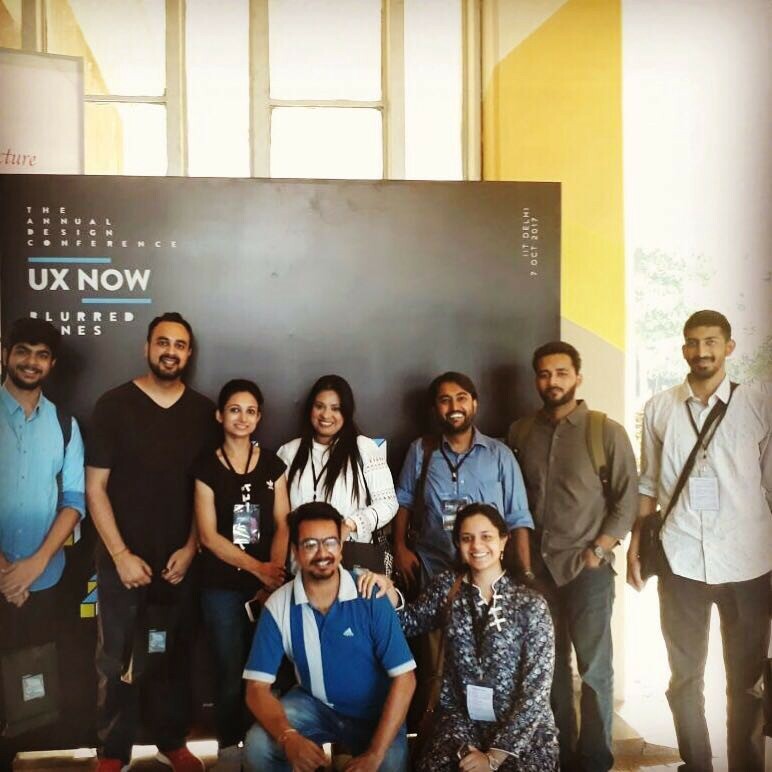 On the morning of October 7th, India’s top design masterminds gathered at the IIT-Delhi campus for an unique event called UXNOW-Blurred Lines 2017. Design events are few and far between this side of the country and it was good to see top designers, design students, managers, educators and innovators all under one roof. 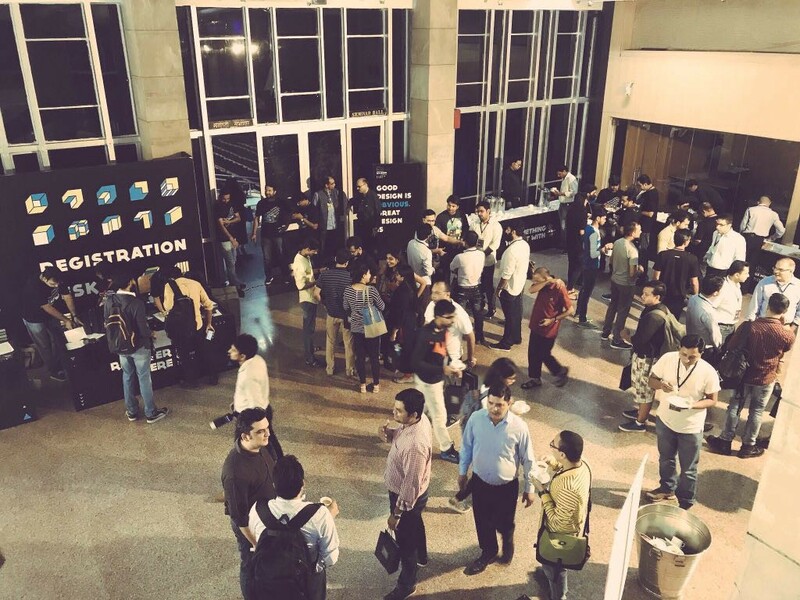 The conference was organised by MakeMyTrip India and the entire team of GDD attended. 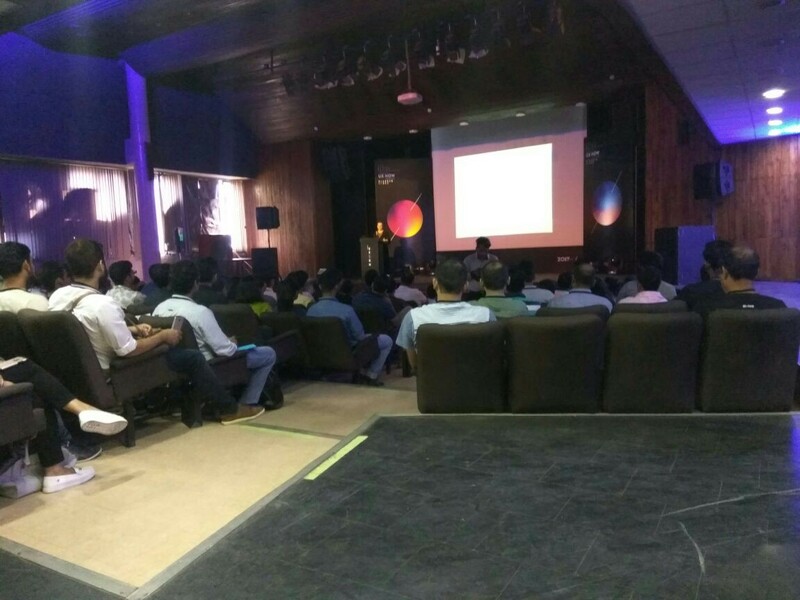 That is precisely how I had the privilege to attend this event and get a glimpse into the future of design in India. The show got on the road when the brilliant Monika Bielskyte started talking to us about regenerative thinking and how just sustainability is not enough. She stressed on having long term goals to keep visions alive. We are all part of the ever evolving ‘Phygital’ world around us and Artificial Intelligence depends on our cultural intelligence. The smarter we get, the smarter our innovations get. Then too smart isn’t enough, ultimately the user experience is most valuable. Monika’s viewpoints got a lot of appreciation though Joseph Jacob, UX designer at GDD thought it would have been a really nice touch if we got a little more glimpse into her thought process on AR/VR and the work it inspired. Sukumar Rajagopal, Founder and CEO of tiny magic took the mic next and shared his experiences on the difficulty of adopting new users while designing software. His session, one of the most interactive was all about the magic of building new habits with the aid of right triggers. Habits are behaviours that tend to occur subconsciously. 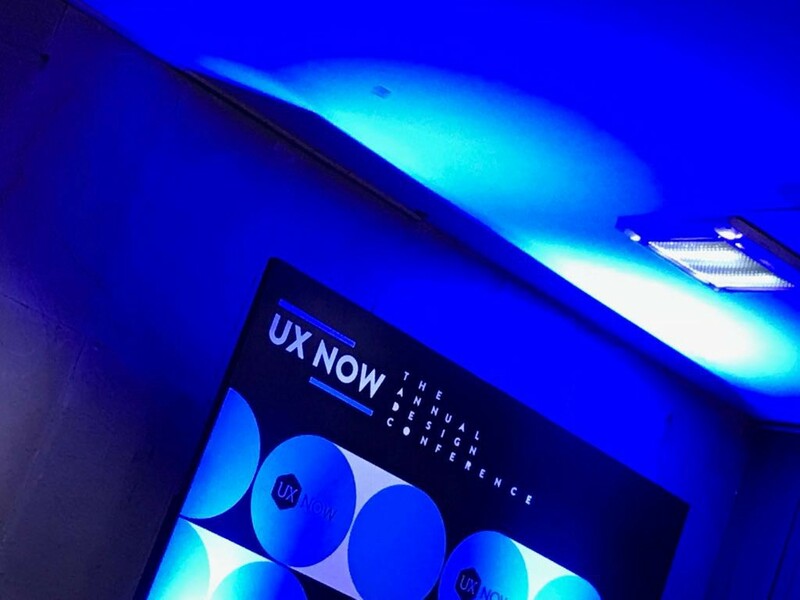 In context of design, if user behaviour is studied correctly, then it becomes easier to predict and control how the user experiences a specific moment, service or product. An excellent example given by Mr. Rajagopal was the present scenario with cab aggregators like Uber and Ola who have almost taken over the entire market by empowering any common individual’s habit of calling a cab service. The audience was excited and happy as these two sessions came to an end and looked for more food for thought. Exactly the right moment for Sudhakar Damodaraswamy to start his session with the wonderful quote “Modern technology owes the ecology an apology”. It was a talk focused on aesthetics. His opinion was that aesthetics is not subjective but more objective. He spoke about aesthetics while exploring the dimensions of rasa, maya, dhwani and more. Dhruv Mathur, co founder of LBB was the next speaker. He focused on the aspect of building an enterprise in stages for the aspiring business owner. He called an initial success in the industry a “One hit wonder” and emphasized the need for consistent hard work and a team focused company model. There was also a hilarious moment when one of the audience compared designers to daughter in laws and business owners to mother in laws. This was when the discussion turned to the sweet spot between expectation and reality. Towards the end of his session I raised the question. “Since LLB is a content based service, how does design influence the content and how does content influence the designs?” Dhruv’s take was that content and design need to work together to give consumers valuable returns for the time they spend exploring a product or service. With the number of internet users in the country growing exponentially, what can be done differently to target the next 100 million users? This question was thrown to us by speaker Anshuman Bapna, Chief Product Officer, MakeMyTrip India. He highlighted three keywords, Access, Trust and Value. Access to clear and uninterrupted service, credentials to provide the best privacy of data and giving incredible value to the user as per the device he uses. These could be the milestones which will very well define the future of digital products in India. The key could be going back to the basics of design. 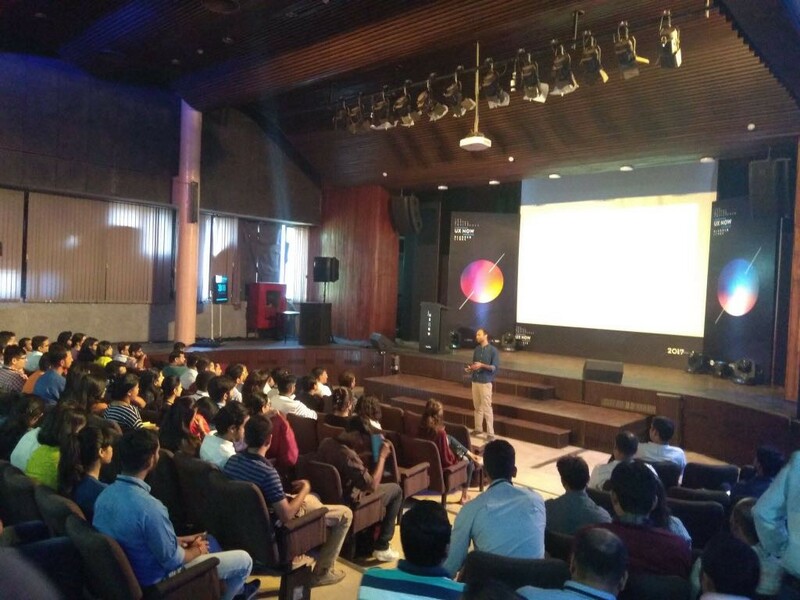 The next speaker in line was Nakul Shenoy, Ex Principal Designer of SAP and his session was truly “magic”. He kept drawing parallels between the act of performing magic itself and once again how the user’s behaviour can easily be predicted if the right questions are asked by understanding the context and specifying the kind of interactions. He suggested three keywords, Adopt, Invent and Innovate. He utterly made his point that knowledge is, indeed power. The second woman speaker of the day was Lisa Rath, cofounder ICD and she spoke about a version of a possible future where AI has taken over human interactions. It was good to hear her say, that if that day ever happens she will happily go back to the basics of being a designer for design will never be dead. Ms. Rath gave us an important insight with the wise words that design is transactional. The best way to adapt is by making new friends. Moinak Ghosh, ex faculty IIT KGP took the dais next to speak about Cybernetics. The ten laws of human computer interaction and how it paved the way for interaction design made for an interesting discussion. Design and technology are very coherent. Design drives technology in the right direction so it can meet user expectations appropriately. Jay Dutta, our next speaker is Head of Design at MakeMyTrip India and Advisor at GDD. Apart from that he is known for his sound knowledge, deep thinking and inspiring messages for the design community. At this event the focus of his talk was on design without borders, blocking bias and blurring lines. Aspirational design within the Indian context to look forward to in the future. It is seen that designs are most of the times judged from western perspectives. How can this bias be broken? As designers it is of utmost importance to be prepared to address this issue and constantly reinvent to suit the context and the user. The next part that was extremely inspiring was to ask designers to self evaluate themselves. Is their stack full enough? Or are they just stuck in specified roles only? According to Mr. Dutta, diversification is where the answer truly lies. 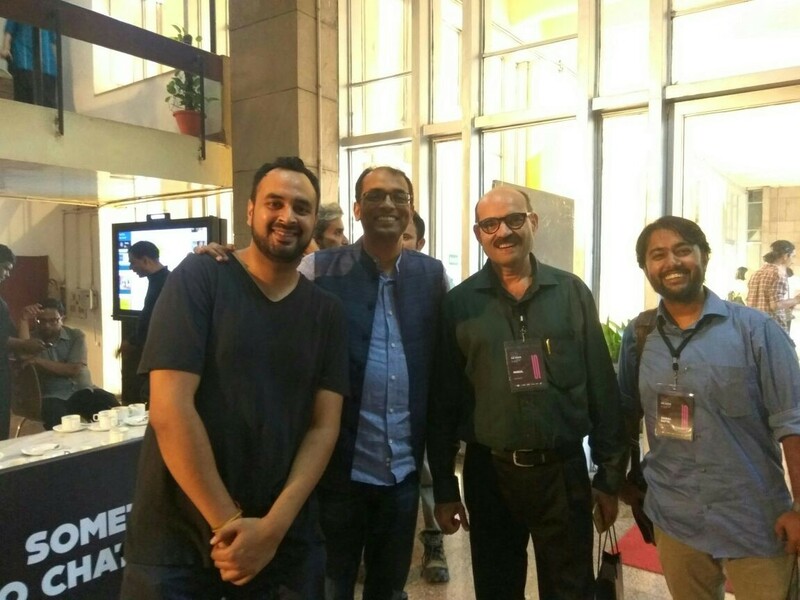 GDD Founders — Sharad & Saibal with Jay Dutta, SVP MakeMyTrip India and Mukul, Co-Founder Gradient Learning after Jay’s talk. 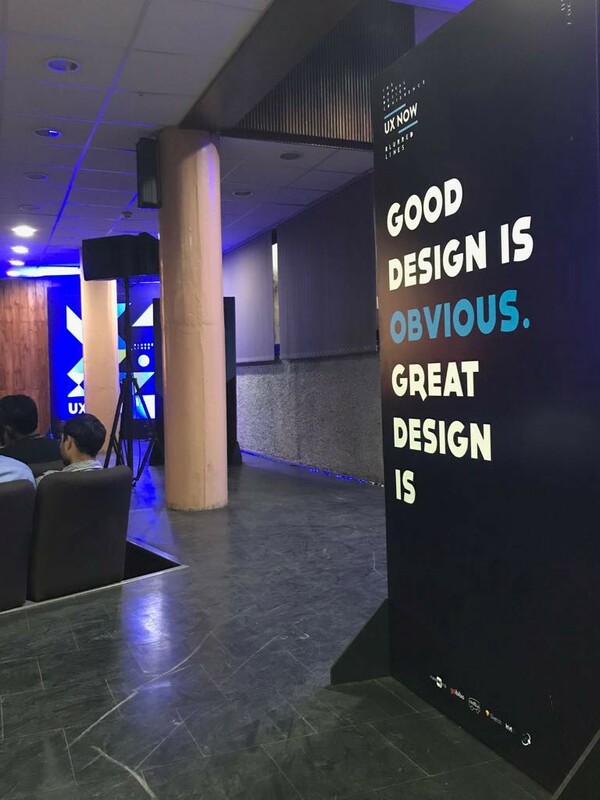 We ended the day with a motivational talk by Sid Taneja and a panel discussion focused on removing the blur between design and designers. The conference ended with a lot of new connections being made, some truly inspirational takeaways and a new hope for the future of design. India’s design landscape is evolving very fast. Designers need to don more than one hat if they want to adapt to the needs and meet the requirements of a newer, smarter society. Great design is always adaptive and doesn’t need to control the show to feel good about its role.